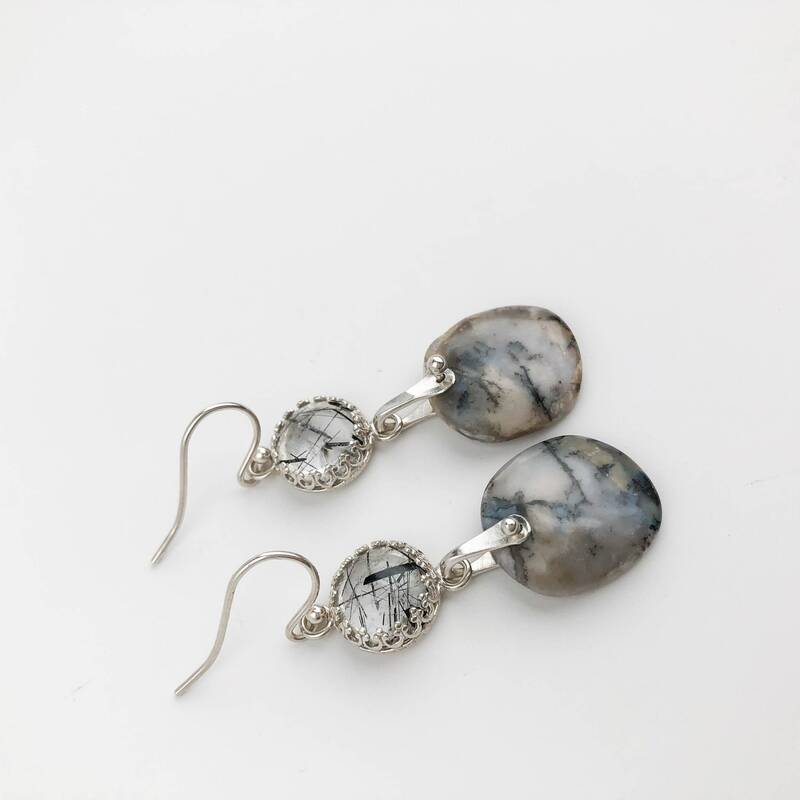 * Total length including ear wire is just under 2" long, they dangle 1.5" below the bottom of the ear wire. 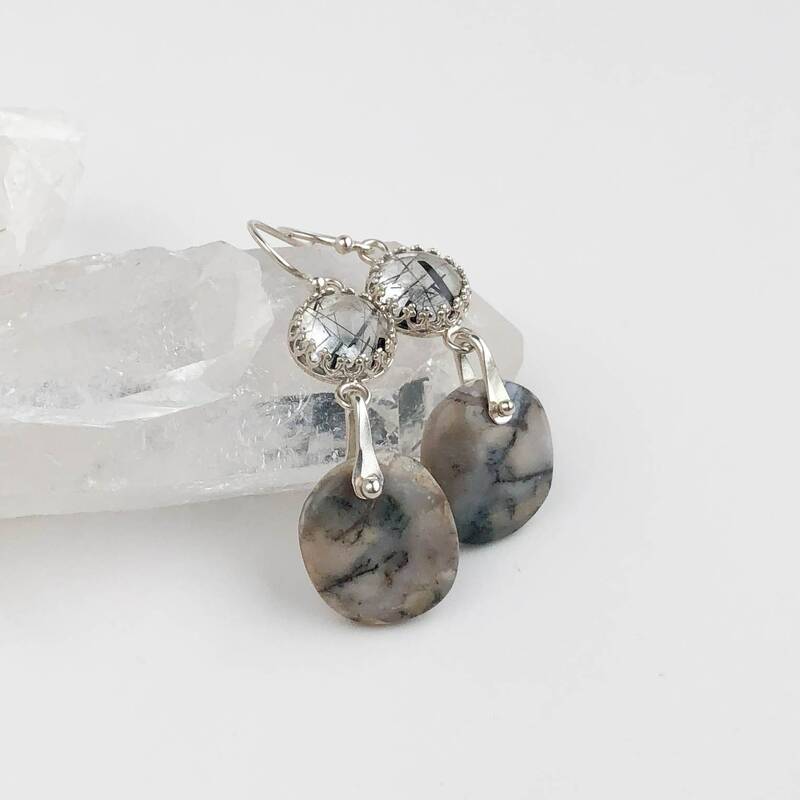 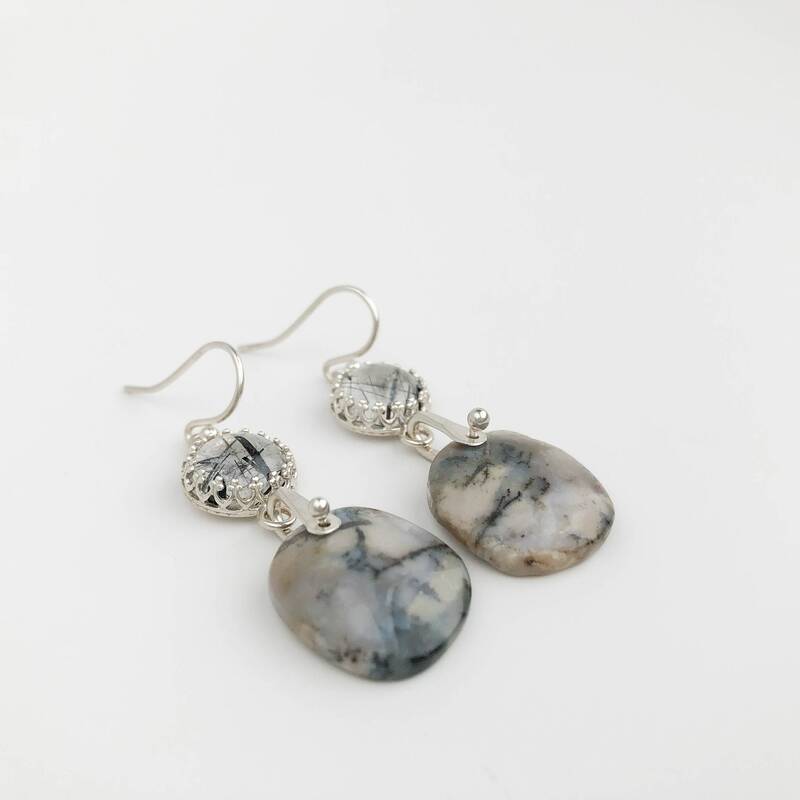 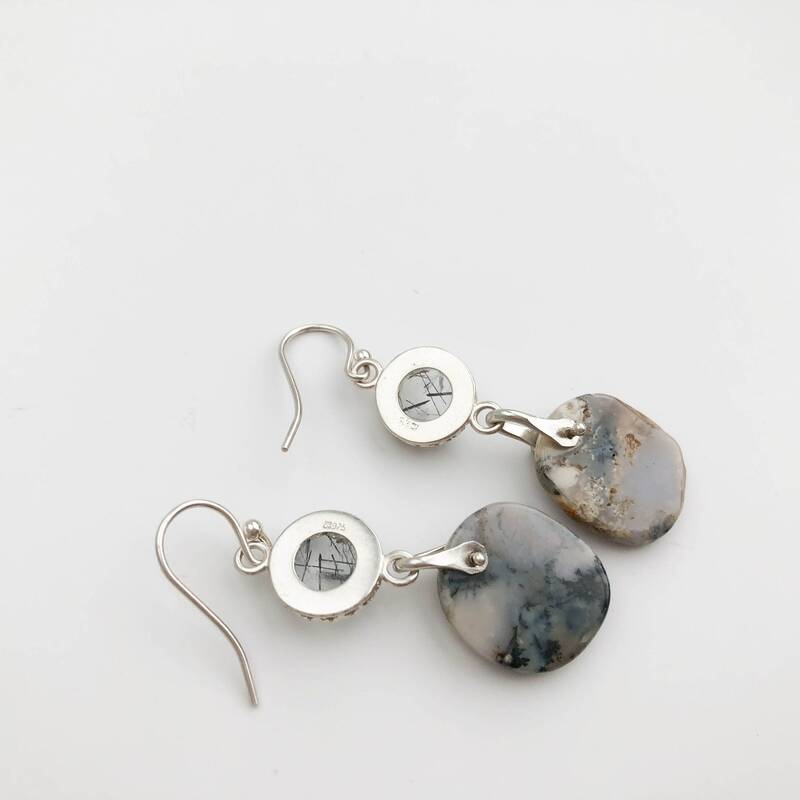 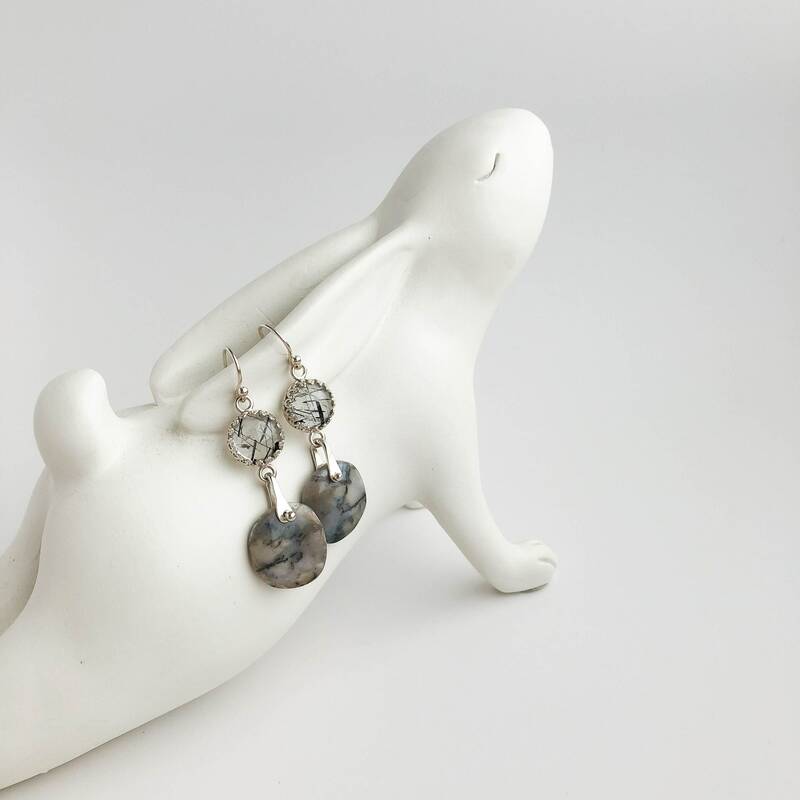 These natural stone and sterling silver dangle earrings were handmade with nickel free sterling silver, tourmalinated quartz gemstones and a matched pair of sage amethyst agate stones. 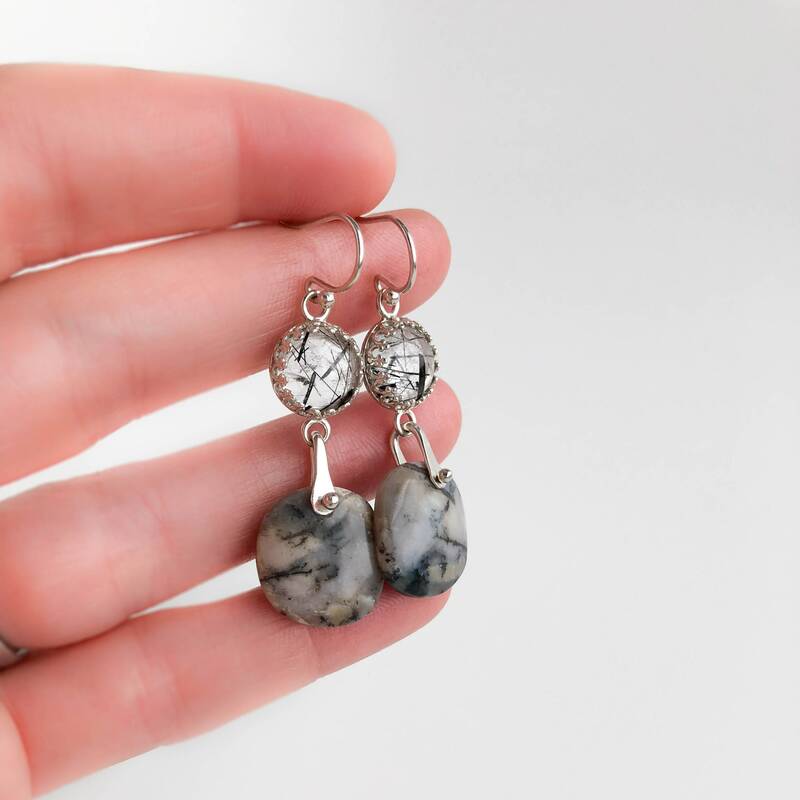 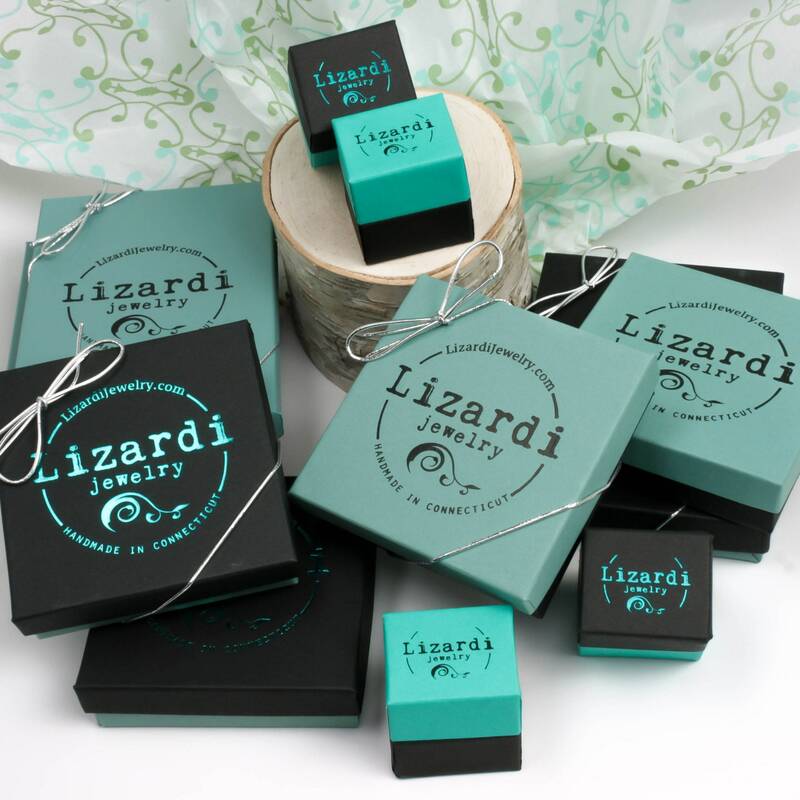 These are one of a kind and ready to ship!